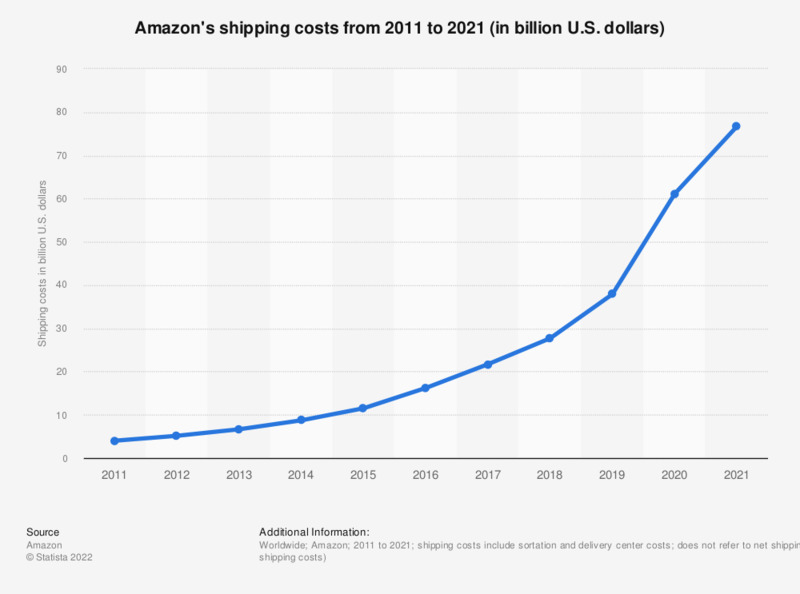 This statistic illustrates Amazon.com's annual shipping costs from 2012 to 2018. In 2018, Amazon's shipping costs amounted to 27.7 billion U.S. dollars, up from 21.7 billion U.S. dollars in the previous year. Shipping costs include sortation and delivery center costs.